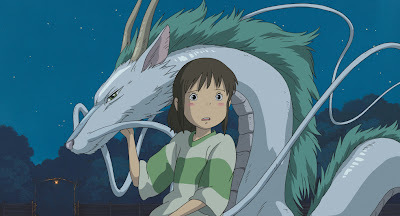 You're in for a treat next week folks, because those nice people at Film4 are staging a Studio Ghibli season, screening 18 films from the famous Japanese animation studio. Never heard of Studio Ghibli? 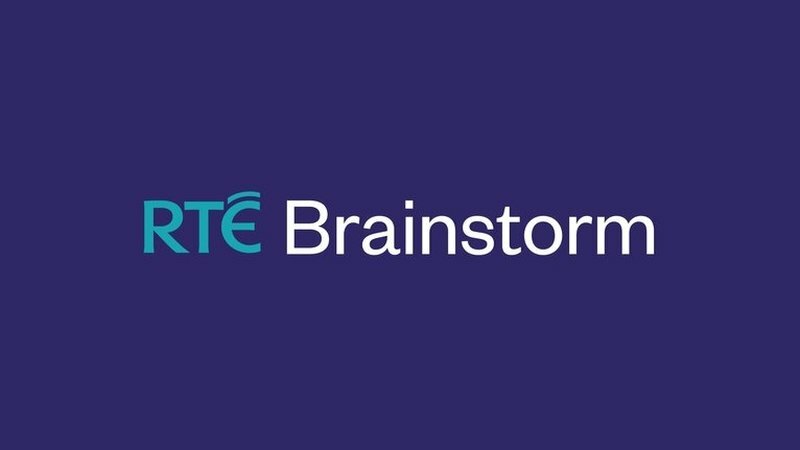 They're only the biggest animation studio outside of the US, with an output that easily matches the likes of Disney and Pixar. 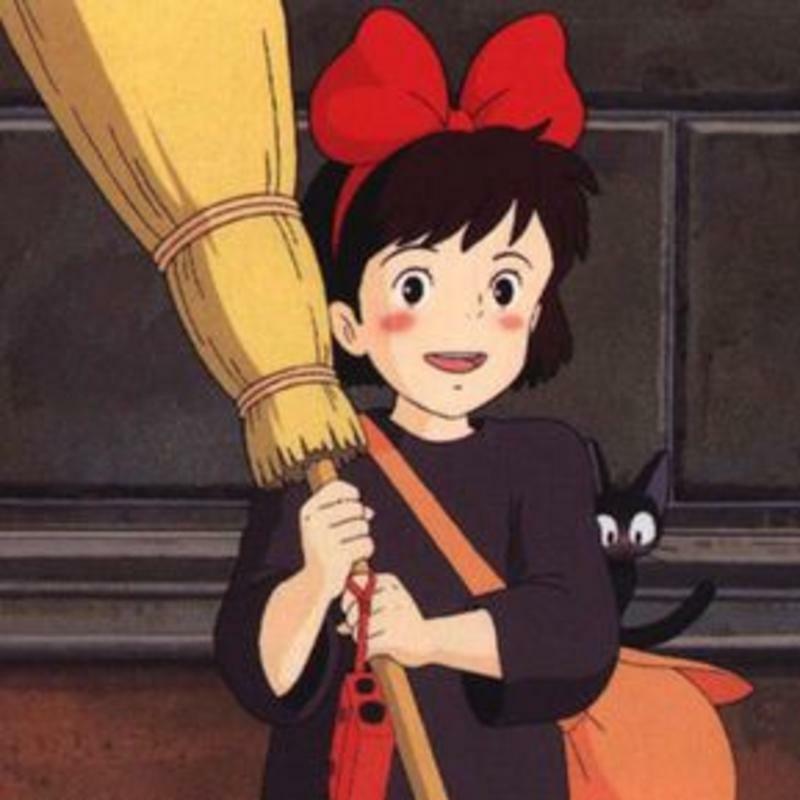 Ghibli films tend to be fantastical tales populated by all manner of strange beings, but they also have a few contemporary dramas with 'real' settings and characters. So, if you don't like the idea of animated fairy-tales, that shouldn't stop you catching the others. More importantly, especially if you have young daughters or nieces, is that Ghibli films often feature strong, independent female leads. Rather than flounce around singing and simpering, whilst waiting to be kissed by Prince Charming, Ghibli's heroines take control of their own lives and achieve their goals with a can-do attitude, instead of relying on some clean-cut fella with a sword to turn up and do it all for them. Not a bad message to send out to young girls more used to the pink Disney princess scenario. But don't worry if this makes them sound 'worthy'. The moral messages are not rammed down your throat and you may not even notice them as you get caught up in the stories. Indeed, many of them feature mad things such as spirits, and witches, and wizards, and dragons, and one even has a cat that is a bus. A CATBUS!!! Mad. Anyhow, I haven't seen them all myself (something I will be rectifying next week) but here's a whistle-stop tour through about half of them. I suspect you won't sit down to all 18 films. So if you see only one, make it Spirited Away (2001), a story of a young girl who finds herself trapped in a mystical realm, where she must find a way to save her parents, who have been turned into pigs. This is the film that brought Ghibli films to an international audience, championed by none other than Pixar head honcho John Lasseter and going on to win an Oscar for Best Animated feature. Not only is it a wonderful coming-of-age tale filled with wonderfully odd characters (comparable to say, Alice in Wonderland), it also touches upon elements like generational conflict and environmental pollution in ways that are both touching and mature. It's not just a great animated film, it's a great film, period. 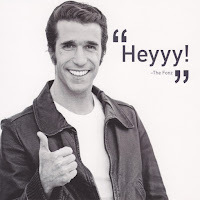 And not just for kids. 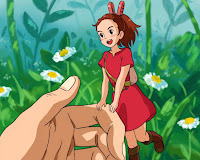 Arrietty (2010) is an adaptation of classic children's story The Borrowers, with the tiny Arriety befriending a lonely boy who catches sight of her. The animation is bright and lovely, and there's a nice sense of scale as the tiny Arrietty navigates the house and we see things from a different perspective. Thus, in her hands a pin becomes a sword, a sugar cube is as big as a brick and she encounters insects almost as big as her in the garden. But beyond those nice little details, there's not much else to it, as it meanders its way without much incident to a fairly gentle ending. There's also a sort of romance between a big person and little person, which reminded me a bit of The Krankies, but without the accompanying nausea. Overall, it's not exactly fandabbydozy, but it's a nice enough film for the kids. In Whisper of the Heart (1995) a young girl finds that all the books she chooses in the library have been previously checked out by the same boy and sets out to find out why, learning about her true self in the process. It's a slight story and a bit slow, but it's still a charming, gentle little tale that had me feeling nostalgic for the days when I too used to visit the library regularly and when I used to sing 'Country Roads' down the back of the bus on the way home from the disco. Yeah, i sure knew how to party in those days. A nice companion piece to Whisper of the Heart is Kiki's Delivery Service (1989), which focuses on similar themes, albeit with a more fantastical slant. Here, a young witch-in-training struggles to get to grips with her powers and creative talent as she starts to earn a living independently. It's another charming coming-of-age tale with a great role model for young girls. 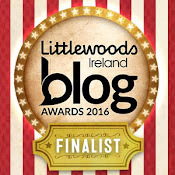 Fans of Jill Murphy's The Worst Witch series will enjoy it. 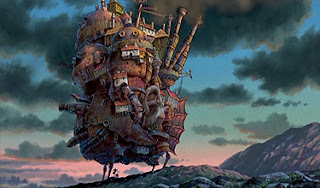 Howl's Moving Castle (2004) sees a young girl trapped in an old woman's body by a witch's curse. To break the spell she must team up with Howl, a self-indulgent young wizard who lives in a castle that walks about on legs. Yes, legs. It's not as coherent and resonant as Ghibli's best output, but the imagination on display and strong characterisation make it a worthwhile and enchanting tale, which was a large inspiration on Pixar's Up. Princess Mononoke (1997) is a much more epic affair than the other films listed here, telling the story of the struggle between the supernatural guardians of a forest and the humans who use its resources. There's a strong environmental awareness theme running through the film and some of the more fantastical elements are quite scary, making this unsuitable viewing for younger children. It's all a bit confusing, rather heavy-going at times and too long, but there's no denying the creative genius behind the astounding visuals. 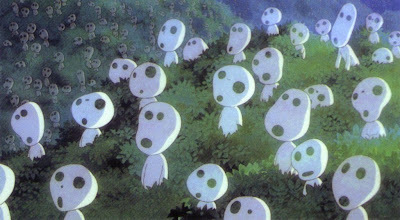 Princess Mononoke: I have no idea what these things are, but they're quite cool. Ponyo (2009) is semi-inspired by Hans Christian Andersen's The Little Mermaid, telling the story of a goldfish princess who longs to be human. Starts out as charming as ever, but all the entrancing animation and ethereal moments in the world can't hide a uninspired and faltering plot. As a result it starts to drag quite badly, despite being only 90 mins or so, whilst the eco-awareness message is a bit heavy-handed. And surely, even in an animated fairytale, a parent should act more credibly than leaving a 5-year old alone in the tsunami-threatened clifftop house during a storm? This is the one Ghibli film I don't really rate, but others have kinder words to say about it. 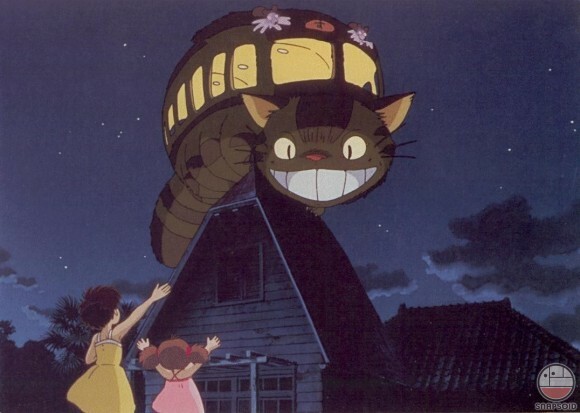 In My Neighbour Totoro (1988), two young girls move to the countryside with their father to be nearer the hospital where their sick mother is being cared for. 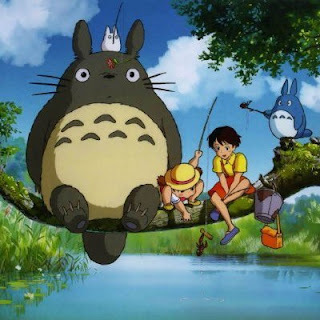 They discover the woods around their new home are home to magical creatures, including the wonderful Totoro. A lovely tribute to those childhood adventures you had when you were young and carefree, and roamed your neighbourhood from morning to night, without worrying about all the paedophiles lurking in the bushes. This is the one with the catbus, by the way. A CATBUS!!! Mad. Watch out for Totoro making cameo appearances elsewhere, such as in South Park and Toy Story 3. 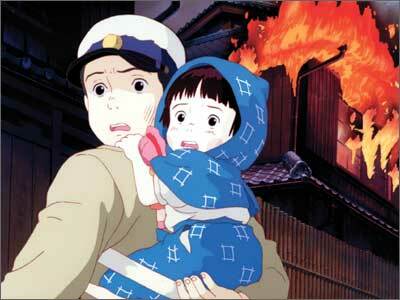 Grave of the Fireflies (1988) is the saddest cartoon ever. Set in Japan near the end of WWII, it tells the story of an orphaned brother and sister struggling to survive in the aftermath of a bombing wave on their city. It's a leisurely film, with few scenes of actual warfare, preferring instead to focus on the effect of the situation upon the two children. But quietly and affectingly, it fashions some lovely moments between them that make the characters and their relationship utterly believable. 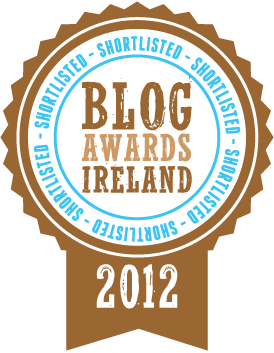 As a result, by the time it reaches its achingly sad ending, you'll be almost asphyxiated by the lump in your throat. One of the great anti-war films. If you see only two Ghibli films, make this the other one. Great write up but Blu-ray is the only way to fly Air Ghibli. As a fan of Studio Ghibli, I think you might enjoy Oblivion Island!